Manufacturer of a wide range of products which include agricultural insecticides, agricultural pesticides, bifenthrin 10% ec, chlorpyrifos 50% cypermethrin 5% ec, chlorpyriphos insecticide and deltamethrin 11% ec. We are the manufacturer of the Agricultural Insecticides. Application : It is systemic insecticide for the control of termites in building through pre and post construction treatments. Pre and post construction in buildings. Packaging Size 15 Ltr water / 20 ml 20ml, 50ml, 100ml, 250ml, 500ml, 1Ltr. We are the manufacturer of the Agricultural Pesticides. 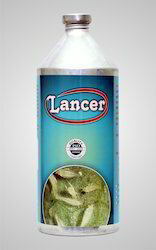 Application : Lancer is a broad spectrum. 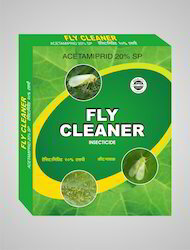 It is recommended for its use to control Aphids, Thrips, Jassids in cotton diamond black moth (DBM) in cabbage. Application : It is used for the control of Bollworm and white fly on cotton crop and control of stem borer, leaf folder and green leaf hopper in Rice crop. Application : It is recommended for the control of Aphid, Jassid, Thrips, Whitefly, American Bollworm, Spotted bollworm, Pink Bollworm etc on Cotton. 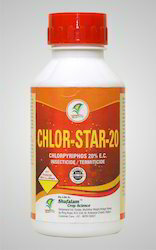 We are the manufacturer of the Chlorpyriphos Insecticide. 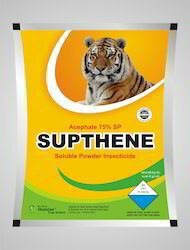 Application : A broad spectrum insecticides for killing nearly all sucking, biting and boring insects of paddy, cotton. Also highly seeds, vegetables and fruits by its contact and stomach poison. Also highly effective against soil grubs, termites and for anti-termites treatment in buildings for pre and post construction. Application : For the control of bollworms in Cotton, Fruit borers in tomato & okra, Stem Borer, Leaf folder, green leaf hopper and whorl maggot in Rice and fruit borer in chilli. 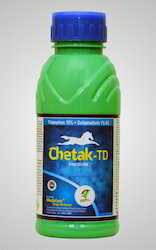 We are the manufacturer of the Dichlorvos Insecticide. 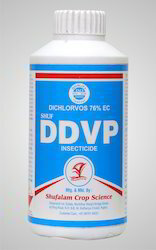 Application :Dichlorovos is used for domestic pest cotrol stored grain pest control and agri farm pest controls. We are the manufacturer of the Emamectin Benzoate Insectide. Application : Emamectin Benzoate 5%(SG) is a water soluble granular formulation containing 5% activeingredient and is recommended for the control of Bollworm on Cotton, Fruit and Shoot borer on ocra,DBM on Cabbage, Fruit borer, thrips, mites on chilli, fruit and shoot borer on brinjal, pod borer on redgram and chickpea, thrips on grapes. Packaging Size 100ml, 250ml, 500ml, 1Ltr. We are the manufacturer of the Imidacloprid Insecticide. Application : Imidacloprid primarily controls sucking pests in cotton, rice, oil seeds and vegetables, chilli, mango, sugarcane and plantation, like tea, coffee and cardamom. 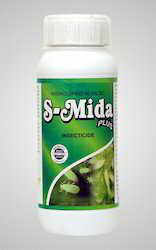 Imidacloprid is used as a seed dressing, as soil treatment and as folier treatment in different crops. We are the manufacturer of the Insecticide Powder. Application : It is to control of pests on selected agricultural areas and non crop areas. 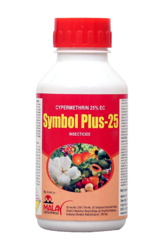 The Active ingredient is Acephate, a water soluble insecticide readily absorbeb by plant roots and foliage to give systemic control of feeding insects. We are the manufacturer of the Insecticides. Application : It is use to control of Hopper, Aphids, Leaf miners, Mealybugs, White Flies, Jassid etc. in agriculture crops like cotton, vegetable, groundnut etc. Composition : Lambda Cyhalothrin 4.9% C.S. 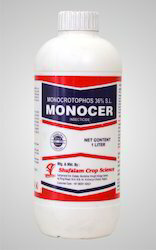 Application : It is recommended for the control of bollworm in cotton stem borer and leaf folder in paddy, shoot and fruit borer in Brinjal, fruit borer in Okra and tomato, thrips and Flea beetle in grapes and thrips and pod borer in chilli crops. Packing 15 Ltr water / 20 ml 20ml, 50ml, 100ml, 250ml, 500ml, 1Ltr. We are the manufacturer of the Organic for sucking pest. Application : Antique is recommended to control all plant hazardous as well as develop resistant power against insect. It is also management other insect pest that damaging to the various crop fro longer period of time after spraying it also control other pest like Aphid, Jassides, Leafminor and such other hazzadous sucking pest damaging to crop for longer duration. 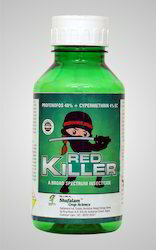 We are the manufacturer of the Pesticides. Application : A broad spectrum insecticide having contact and stomach action effective for the control of spotted pink american bollworms, white fly on cotton crops shoot fruit borer, Jassid, Aphid, epilachnabettle of brinjal. Packaging Size 20ml, 50ml, 100ml, 250ml, 500ml, 1Ltr. Application : Bio-Doxa+ is recommended to develop resistant power against all major larva insect to all agriculture crop for very longer duration. 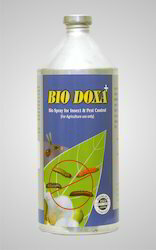 Bio-Doxa+ gives the excellent action on the larval pest management in all crops. Use of Bio-Doxa+ will lead to make plant internally strong so that re-attack of pest delayed fro a longer period. 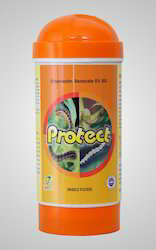 We are the manufacturer of the Profenofos Insecticide. Application : Profenofos 40% + Cypermethrin 4% EC a broad spectrum insecticide is recommended for its use to control bollworm complex of cotton. 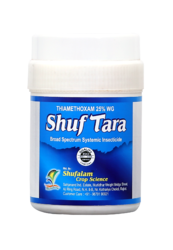 Application : Thiamethoxam 25% WG is broad spectrum systemic insecticide having quick stomach and contact activity and is recommended for its use to control Stem borer, Gall midge, Leaf folder, Brown plant hopper(BPH), white backed plant Hopper(WBPH), Green leaf hopper(GLH), Thrips on rice, jassids, aphids and whiteflies in cotton, hoppers in mango, aphids in wheats, jassids in okra, aphids in Mustard, white flies in tomato, jassids in brinjal, mosquito bug in tea & aphids in potato, psylla in citrus and aphid in cumin. 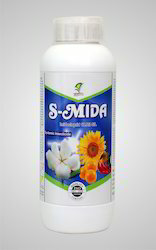 Application : Recommended as seed treatment to control Jassids, Aphids and whitefly in Cotton, Shoot Fly on sorghum and maize, termites in wheat, Jassids in Okra, Thrips, GLH and Whorl Maggot in Rice, Jassids and thrips in sunflower, stem fly in soyabean and thrips in chilli crops. Composition : Emamectin Benzonate 1.9% E.C. Application : Apply the insecticide when the incidence of larvae is fist observed and repeat application as necessary. 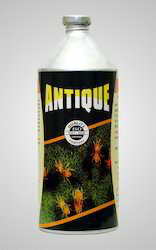 Apply the insecticide in sufficient quantity of water ensure through coverage of the foliage. Application : Use to control cotton for Bollworms, Bollweevil, Jassids, White Fly, Thrips, Mites. It can also used on fruit and vegetables on the control of Jassids, Hoppers Borers. It can also be used on paddy crop for its entire control.